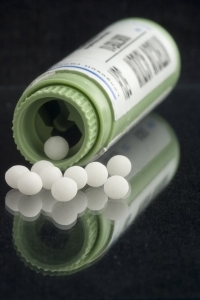 The FDA has suddenly grown very interested in homeopathy and has fast-tracked public hearings on the safety and efficacy of homeopathic medications. Scheduled for April 20 and 21, the hearings will be held just three weeks after publication of the notice - and on the heels of an FDA advisory on homeopathic OTC asthma medications. The Food and Drug Administration (FDA) is announcing a public hearing to obtain information and comments from stakeholders about the current use of human drug and biological products labeled as homeopathic, as well as the Agency's regulatory framework for such products. These products include prescription drugs and biological products labeled as homeopathic and over-the-counter (OTC) drugs labeled as homeopathic. FDA is seeking participants for the public hearing and written comments from all interested parties, including, but not limited to, consumers, patients, caregivers, health care professionals, patient groups, and industry. FDA is seeking input on a number of specific questions, but is interested in any other pertinent information participants would like to share. Homeopathic remedies are NOT pharmaceutical drugs, and should not be treated like drugs. Should they be subject to rules and standards of Good Manufacturing Practices? Of course. They need to contain what they say they contain, without any unlisted additives, and be manufactured in a clean facility. We urge you to be aware of this controversy, to make public comment on the FDA website, or to show up in Washington. Complete background and information about how to participate in the upcoming hearings is available at the Federal Register. To submit your comments electronically, visit regulations.gov. Although the public hearing is coming up quickly, written or electronic comments will be accepted until June 22, 2015.